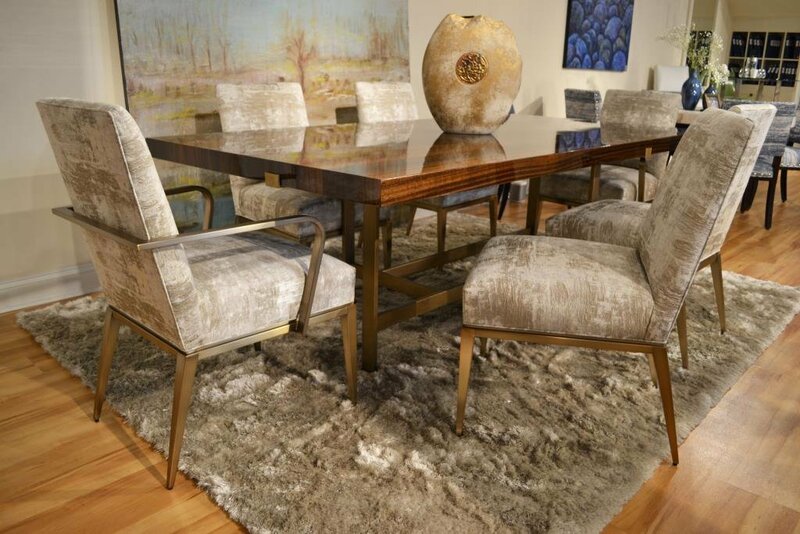 Metal base upholstery is growing in popularity in home furnishing decor. 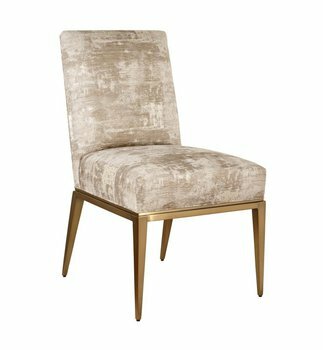 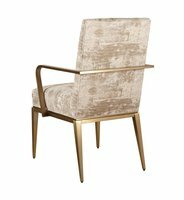 Our Richfield arm chair with metal base is sophisticated in style having a simply tailored upholstered to chair part that attaches to an intricate metal base. 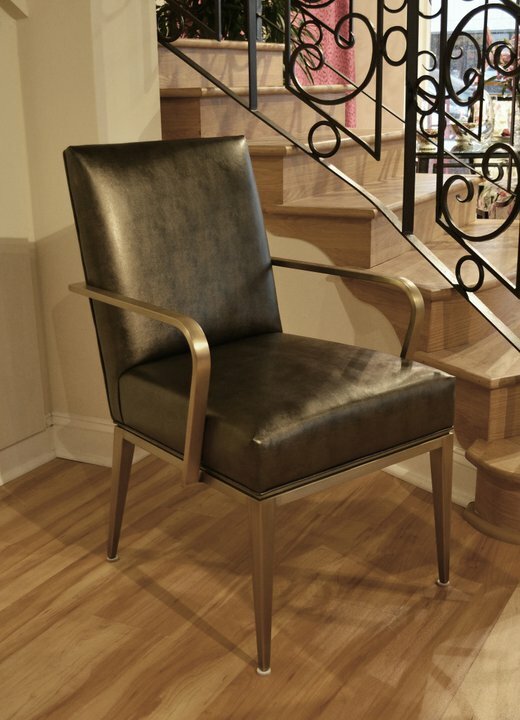 The base recesses underneath the chair base creating an illusion of the chair floating over the metal base. The metal base has beautifully scaled tapered legs and is finished in an Antique Bronze finish. 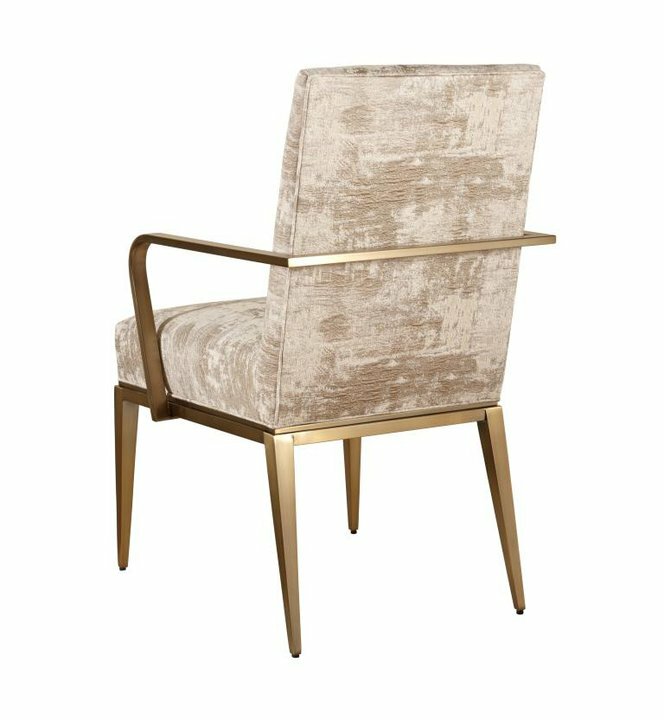 Just as the chair appear to float over the base, the arms of the arm chair, with hidden attachment points, appear to float around the side and back of the upholstered chair part.